With WEF already in full swing, I wanted to explain some of the benefits of hiring a private show photographer to cover your Winter Season! The Winter Equestrian Festival is one show that allows other free lance photographers take on private clients to shoot exclusively. So why should you become a private show client, and what are the benefits? What is a private photographer? A private show photographer is someone you can hire exclusively to cover your rounds! They have paid a vendor fee to shoot at the show grounds and have permission to sell their images to their clients. Keep in mind that not all horse shows offer this, or even allow private photographers to photograph. WEF is one of the few shows shows that allows riders to hire their own photographers, so it’s a perfect opportunity to take advantage during your Winter Season! What are the benefits of hiring a private photographer? At a large show like WEF, where there are sometimes 11 rings going all at once, some of your rounds might get missed. A private photographer gets your schedule ahead of time and plans out their day to make sure they get your images no matter what! Time and time again, I hear how equestrian’s and competitors want candid moments! Real interactions between horse and rider. Jumping photos are a dime and dozen, but having a sweet moment with your horse while waiting for your class, or the big smile on your face as you finish the best round of your life coming off that last and final fence — those images are priceless. 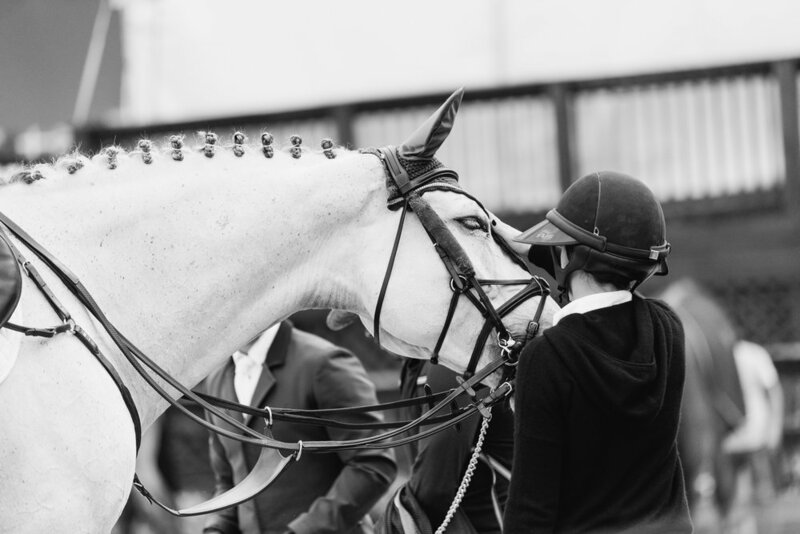 Private photographers like myself follow your journey from warm up ring to in-gate, capturing those candid moments with not just you and your horse, but your trainer, grooms, and the team standing behind you that help you reach success! Having an opportunity to pick and choose which styles you like is something I find really important, even as a competitor myself! Every photographer has their own signature ‘look’, something that makes them stand out from a crowd. Hiring a private photographer allows you to choose a photographer that you specifically like and know the content they deliver by viewing portfolios and getting to know them as a person. Not every style is everyone’s cup of tea, and having that freedom is a nice touch! As with style, some equestrian budgets differ immensely. Having a few options to choose from for WEF coverage makes it easier to find a photographer that works for you. Whether you want to go all out on images, or have a strict budget to adhere by, working with photographers to get exactly what you want is a little easier with a private photographer that may have creative tiered packages or different options altogether to try and reach a solution within every equestrian’s budget! Having your own personal photographer is just that — more personal! We get to know you over the weeks, and we want to see you succeed. I know this goes a lot farther than just simple good customizer service. I’m always on the sidelines cheering with every clear round and high score. We want to capture the moments that make you happy, because we are happy for you! We also understand you have bad days, and we hope our images will help you feel better on those horse show days that are the biggest bummer. As a competitor myself, I know it’s a whole lot of ups and downs, and we are right along with you! So whether you choose a private photographer THIS YEAR or not, I wish everyone an amazing winter season here in beautiful wellington, florida!